of fear called Political Islam. 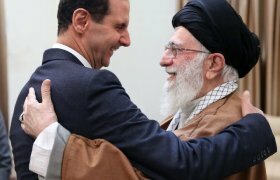 In Iran, the dictatorship is maintained in a corrupt system of fear called Political Islam, Velayat-e faqih. Welcome to the Land of Clerics, Ayatollahs, and Imams of Superstitions. ♦ The Islamic theocracy demands servility loaded with xenophobia and misogyny. To escape social decline, one must resist the religiosity and break the rhythm of centuries of despotism. ♦ We are not a news site. We try to analyse why an old civilization such as ours is permanently lives in fear, drowns in selfishness, and paradoxically, to hide its lack of self-confidence, is arrogant and backward-looking. ♦ Why the Iranian diaspora, despite its remarkable education and integration, is weak and disunited. It carries no political weight against the ayatollahs. 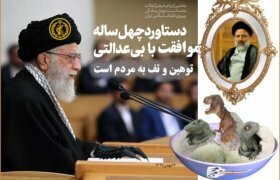 ♦ In Iran, unless the realities can catch up with our aspirations, the theocratic tyranny of Iran Velayat-e Faqih will continue. ♦ The Shiite Islamic Republic is not a fortuitous creation; it is a mirror reflecting a culture, political Islam, that the majority of Iranians deem acceptable. 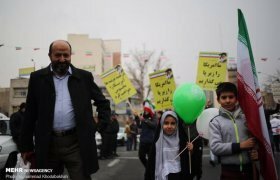 How Iran, with growing poverty and its colonial ambitions can be viewed? Read more and share your thoughts.